What do you get the man who has everything? 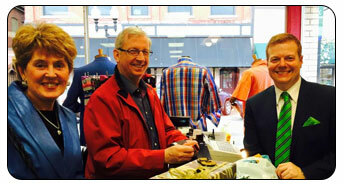 A Lapels gift certificate makes a great gift for any fashion-conscious man. Beautifully hand-written and signed by the proprietors themselves, our gift certificates add a level of finesse and dignity that isn’t found in a plastic gift card. 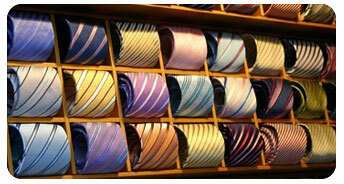 Lapels gift certificates are available in any denomination, never expire, and don’t have to be depleted in one use. They can be personalized with your own message to the recipient and they can be used for our top-quality clothing, accessories, or any of our custom tailoring services. Plastic is impersonal; don’t reduce your gift to a bar code on the back of a plastic rectangle – give a personalized gift certificate that was created with pomp and presentation in mind. 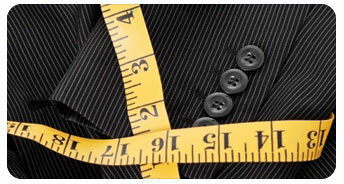 Give the gift of style and confidence – give the gift of Lapels! Fashions may expire, but our gift certificates never do. Call us today at 724-853-7145 or contact us online to find out more!